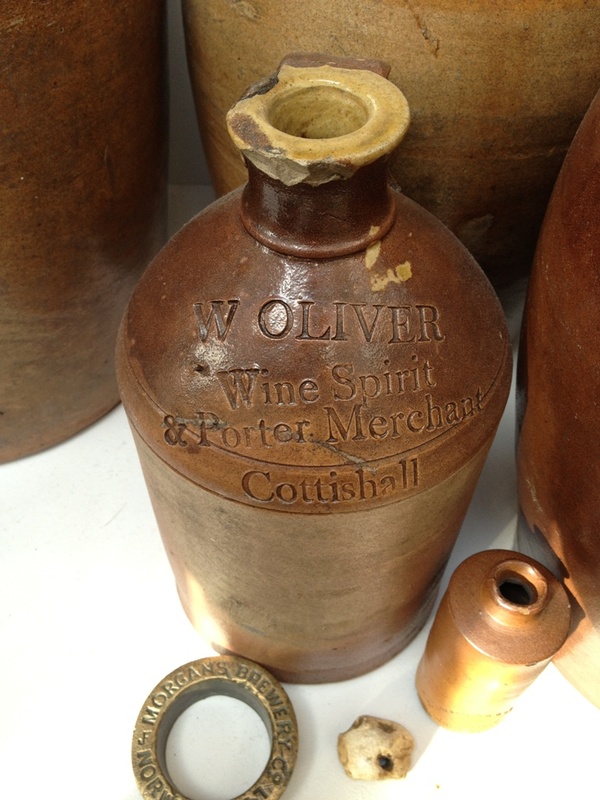 William Oliver is Listed in the "White Horse" from 1850 until 1856 at Coltishall. 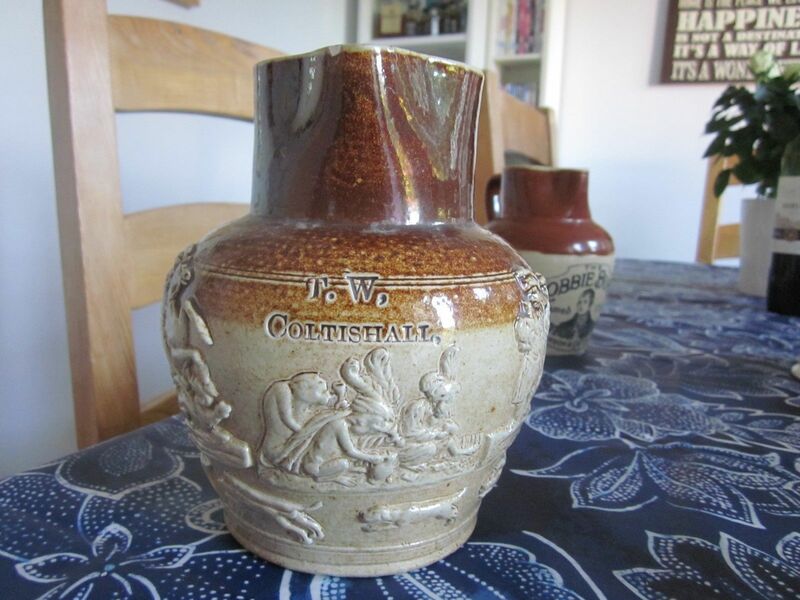 Salt Glazed Sprigged Harvest Ware Jug Impressed "T W Coltishall"
Thomas Wright is listed in 1846 as a boat builder, brewer and corn and coal merchant. 1850 he is listed as a corn, coal and timber merchant. 1854 corn & coal merchant and boat builder. In 1858 his last listing he is only listed as a boat builder.